Let&apos;s finish up your work on the fundraising walk project. In this part of the project we’ll finalize the output requirements. Now all that is to do is do some schema mapping. 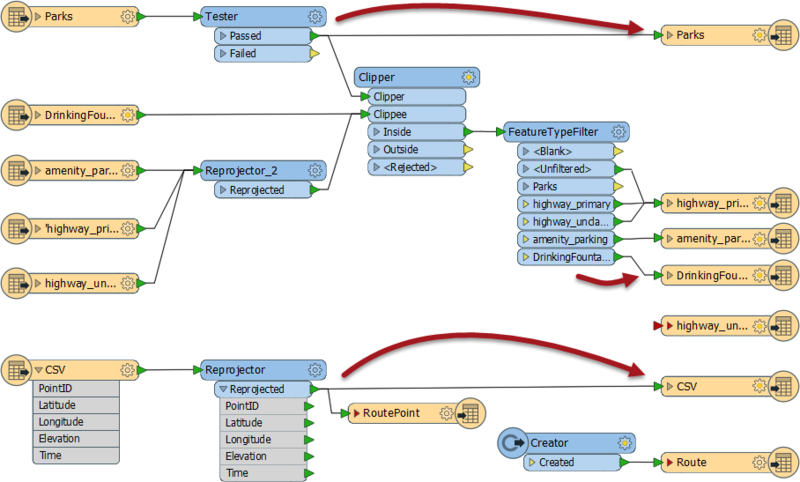 One issue about our schema mapping is that we merged a lot of data together through a Clipper transformer and it&apos;s necessary to divide it back up again if we want to write the data onto the separate layers. Now we can map all of our source data to the correct feature type. 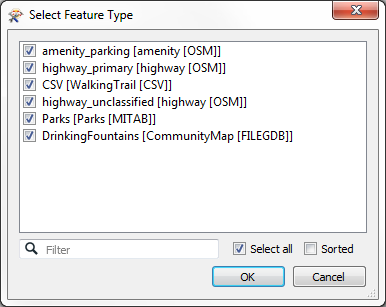 You&apos;ll note that all highway data is being sent to a single Writer feature type. Unfiltered data are the link features that entered through our merge filter. The only thing left to do now is tidy up some of the Writer feature types. Firstly delete all Writer feature types that aren&apos;t being used (Track, TrackPoint, Metadata, WayPoint, highway_unclassified). That is the end of this project. The data can now be passed on to produce the actual event map. Oh! Now that we dropped the KML output dataset, the Python script we wrote probably won&apos;t work! 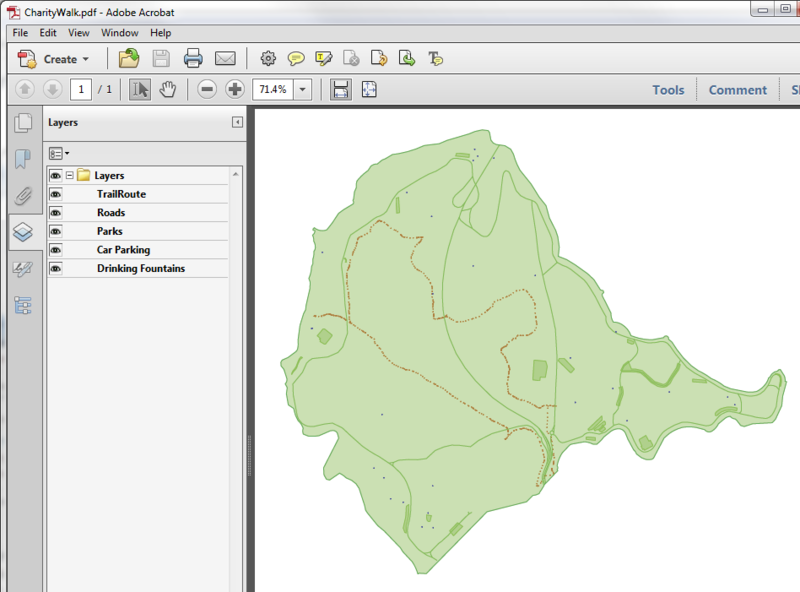 If you have time, and have experience of Python, why not edit the script to support copying the GPX and PDF output datasets to the "shared" folder. If you have spare time, but no Python experience, why not try improving the look of the PDF output instead? 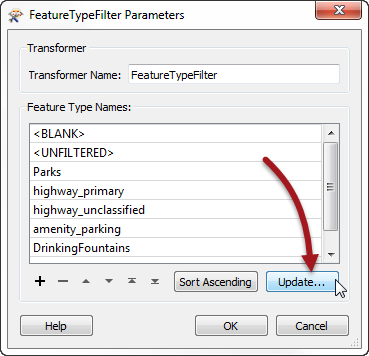 Transformers you might find useful are the PDFStyler and the PDFPageFormatter.